Obituary for Sandra J. (McCarthy) Guilbault | Kostanski Funeral Home, Inc.
Sandra "Sandy" J. 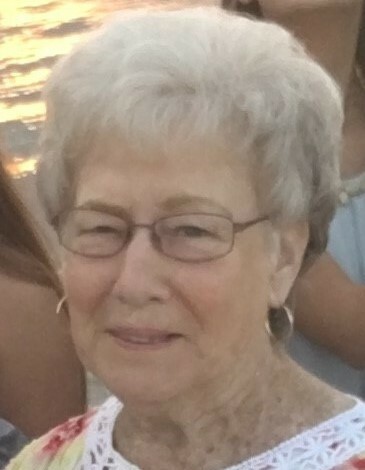 (McCarthy) Guilbault, 73, of Dunton Street died Tuesday 2/12/19 at the Baystate Medical Center in Springfield. She was born in Greenfield, MA on November 30, 1945, the daughter of Harold "Ozzie" and Evelyn (Powers) McCarthy. Sandy attended local schools in Turners Falls and was a graduate of Turners Falls High School Class of 1963. After graduation, Sandy attended hairdressing school at Kay Harvey Hairdressing School in Springfield, MA. Sandy worked at Barbara's Beauty Bar in Turners Falls, MA for many years prior to becoming the Administrative Assistant for the Montague Police Department until her retirement. She enjoyed going to the beach, casino trips and Margarita Saturdays. She also enjoyed spending time with her grandchildren and watching their many activities and sporting events. Among her survivors, Sandy leaves her daughter, Dawn Bete and her husband Matthew of Greenfield; two grandchildren, Melanie Bete and Brandon Bete; nieces, Angela Whelan and Leigh Ann Thayer, along with several nieces, nephews, great nieces and great nephews and many cousins. Sandy also leaves her beloved cat, Muffin. Besides her parents, Sandy was predeceased by her husband, Robert L. Guilbault on July 7, 2004; and her sister, Sharon Harrington on April 21, 2013. Funeral services will be held Saturday 2/16 at 9:15am from the Kostanski Funeral Home, 1 Kostanski Square, Turners Falls followed by a Liturgy of Christian Burial at 10am at Our Lady of Peace Church, 90 Seventh Street, Turners Falls. Burial will follow at St. Mary's Cemetery in Turners Falls. Calling hours will be held Friday evening from 4-6pm at the funeral home. Memorial contributions may be made to Dakin Humane Society 163 Montague Rd Leverett, MA 01054 or to the charity of the donor's choice.